HÀ NỘI — The Asian Development Bank’s (ADB) Board of Directors has approved US$170 million in loans to help the Government of Việt Nam upgrade urban infrastructure and address climate change, benefiting about 116,000 households in Huế, Vĩnh Yên, and Hà Giang cities. “Urbanisation has had a positive impact on Việt Nam’s growth. But many cities, even as they continue to be the centre of economic activities, lack key urban infrastructure services and remain vulnerable to climate change, particularly flooding,” said Satoshi Ishii, a Principal Urban Development Specialist at ADB. More than 30 million people live in urban centres in Việt Nam, but the impact of urbanisation is uneven across the country. Unlike the capital Hà Nội and other highly developed urban centres, secondary cities - with populations of between 50,000 to 300,000 - such as Huế in central Việt Nam and Vĩnh Yên and Hà Giang in the northern part of the country are lagging behind. For instance, less than 60 per cent of households in secondary cities have access to clean water and only 10 per cent of wastewater is treated properly. The Secondary Green Cities Development Project will help make these urban centres become more livable, environmentally friendly, and climate-resilient. Under the project, Vĩnh Yên City will see the construction of a new wastewater treatment system, 66.1km of drainage control being upgraded, the Đầm Vạc lake being dredged, and 44.5ha of new public green space developed. 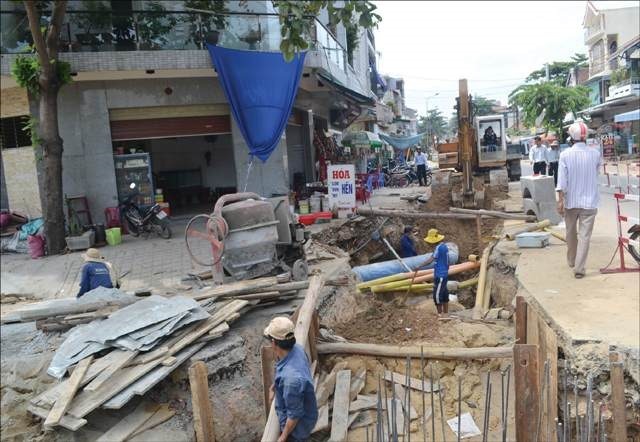 In Huế, there will be 21.9km of drainage pipelines upgraded, 15.9km of road surface and drainage rehabilitated, and 17.2ha of green spaces developed, among others. Hà Giang City will have 7km of urban drainage upgraded, 5.6 km of river embankments protected, and the urban road network enhanced to divert increasing traffic. Apart from the loans, ADB will also administer a total of $14.1 million in technical assistance - with the Ministry of Natural Resources and Environment - and $6 million in grant investment from the Global Environment Facility and the Urban Climate Change Resilience Trust Fund. The technical assistance will mainstream a green and resilient city development approach across Government agencies through policy advice and capacity building, and replicate the approach in other cities in Việt Nam.